The Maritime Museum of San Diego enjoys a worldwide reputation for excellence in restoring, maintaining and operating historic vessels. The museum has one of the world's finest collections of historic ships, including the world's oldest active ship Star of India. 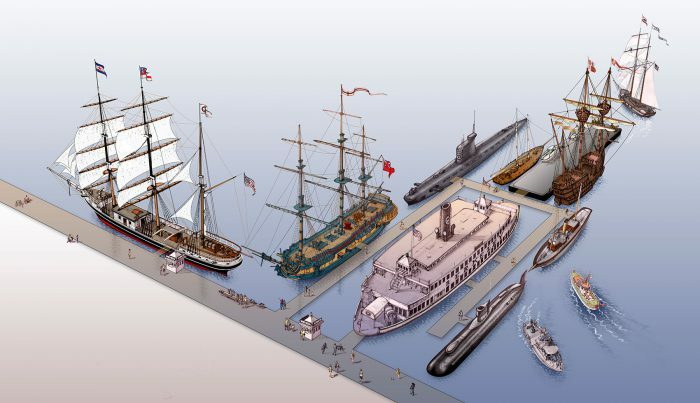 Our collection of ships and exhibits are available for daily public tours. Admission includes access to the following vessels barring any maintenance or private event taking place. Family Package Admission Special General Admission for, Two (2) Adults and Two (2) Children (3-12 yrs of age) for $45.00**, a $7.00 dollar savings! Festival of Sail (Labor Day weekend) Friday – Sunday 9:00a.m. to 7:00p.m., Monday 9:00a.m. to 5:00p.m.